As individuals become parents, they tend to adjust their normal routines so as to fit into the lives of their kids. Sometimes, this means letting go of some hobbies and one of this includes early morning runs especially when you are caring for an infant alone. But what if I told you there was a way for parents who love running to get their morning runs and care for their kids simultaneously. This is where jogging strollers come in handy. These joggers are created to handle uneven terrains while protecting the infant from the rigours of the bumpy ride. They have more weight than the basic carriers and almost all types of jogging strollers consist of three tires bigger than 12-in, or brakes and all-wheel suspension. Majority of them also sport drum brakes which are hand activated to enable joggers to slow down on hills as well as basic parking. Now, one of the major things to understand is that the difference in jogging strollers and the typical strollers is mostly the front wheel which can be either swivel locking or fixed. A lockable swivel wheel brings about versatility and ensures that the stroller can also play the role of an everyday carrier. Fixed wheels, on the other hand, are great for running long distances but cannot be easily maneuvered in tight spaces. While there are a lot of jogging strollers on the market ranging from all prices and features, there are still a few which do better than the others and are certain to meet your requirements regardless of what they are. On that front, here are the top 10 jogging strollers on the market today. The Expedition series of the stroller from Baby Trend is well known among parents for good reason. The stroller is produced using a steel frame which is durable, strong, and lightweight. It is a jogging stroller which is three-wheeled and sports a front swivel wheel. To ensure peak level of comfort is provided for your baby while they utilize this stroller, it comes with a large canopy and 5 point harness. Additionally, the seat is greatly padded for the sake of your baby's comfortability. Rubber handle which is ergonomically shaped and extra wide. 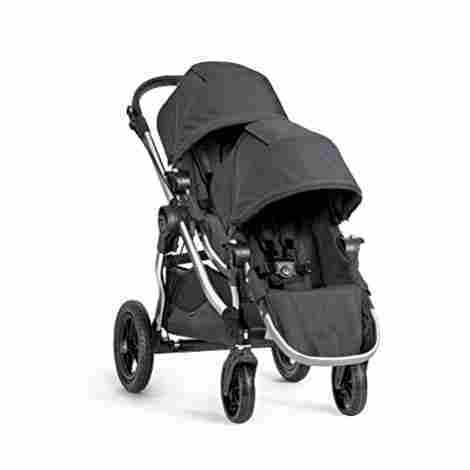 In comparison to other units which offer the same functions as this stroller, the Baby Trend Expedition Jogger Stroller comes at a really affordable price even when you compare it to other products on the list. This stroller is our first pick for various reasons. The most important being that compared to others in its category, it is quite affordable. If you are in search of an affordable jogging stroller that still brings you a load of features, then look no further as the Baby Trend Expedition Jogger Stroller is your best bet. The Baby Trend Phantom is well-known for its ergonomic design and features which make parents feel at ease during each ride. The stroller is made with a steel frame design which makes it rugged for use on any terrain and also lightweight to make it suitable for jogging. Furthermore, staying hydrated is important when going on walks or while jogging and the manufacturers understand this—which is why the stroller is designed with a parent console having two cup holders. There is also a storage compartment for other items like phones and keys. 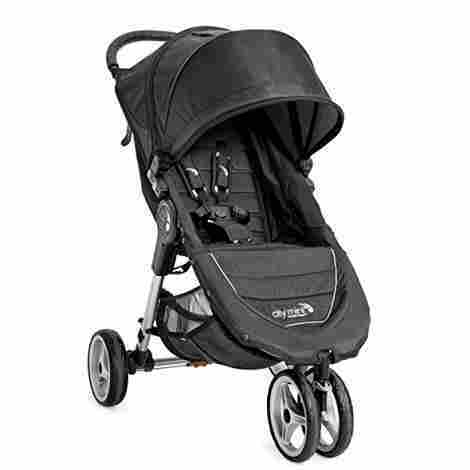 There are lots of strollers with a lot of features which come at very high prices. The Baby Trend Expedition Stroller comes with most of these features at a budget price. The baby trend brand is very renowned and that is with good reason. If you are in search of a jogging stroller which can be manoeuvred with ease and has been constructed for durability, you can never go wrong with the Baby Trend Expedition Jogger Stroller. The Graco Fast Action Fold Jogger will provide security, comfort, and convenience for both parents and infants alike. It is constructed in a manner which prioritizes comfort, style, and as well as easy utilization of the available functions. It features a Fast Action Fold which ensures the jogger can easily be folded and pulled together. It is a stroller which sports 3-wheels alongside rubber tires filled with air to provide suspension. 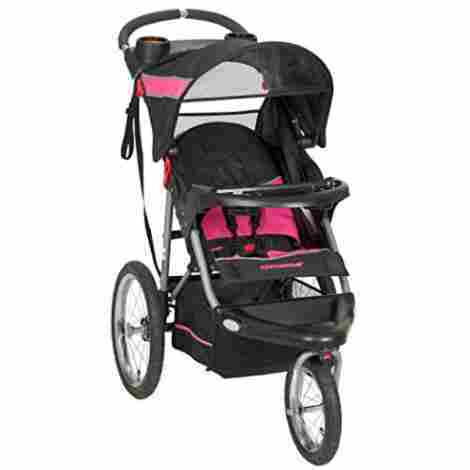 The stroller sports a locking front swivel wheel which provides a quick and easy change from jogging to strolling. The Jogging stroller comes at a budget-friendly price which is not such a bad deal considering all the features that you get when you purchase it. This stroller is easy to set up, manoeuvre, and use. If you have no issues with the bulky size, then you cannot go wrong with the Graco Fast Action Fold Jogger. The Bob Revolution SE Jogging stroller is a stroller which is popular among parents and can work easily on any kind of terrain. It is constructed using a light aluminium frame, suspension system, and pneumatic tires that give it the capacity to move seamlessly on grass, city surfaces, and rough terrains. 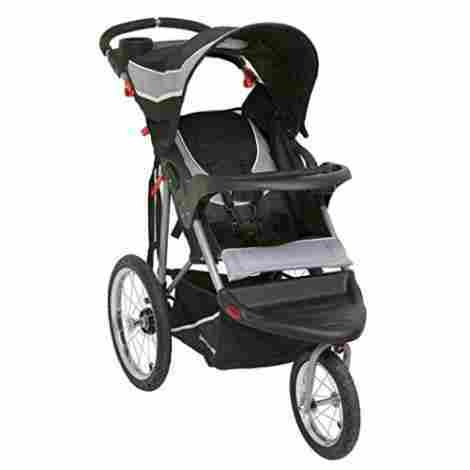 This provides your infant with a great and comfortable ride while you stroll or jog. It comes with a padded handlebar which can be adjusted to 9 positions to provide the ideal fit for parents of any height. It can conveniently take infants weighing from 8 weeks until 75lb of weight. 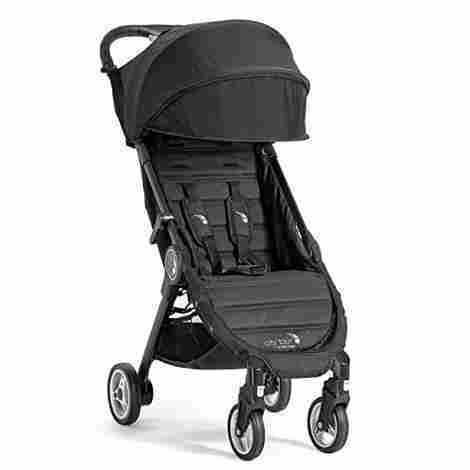 The Bob Revolution SE Jogging stroller is a bit pricey and does not come cheap. If you want to go for this product, be prepared to spend a bit of your funds. If not, you can consider alternatives that can be found on this list. If you desire a stroller that can be utilized on all terrains and comes with features which ensure safety for your baby, then you can check this product out. Also, the stroller complemented with durable materials that ensure exceptional lifespan. The GT is a Stroller meant for all terrain. It comes alongside quick release wheels of 8.5 Inches which ensure negotiating a bend can be done with ease. This is a stark contrast in comparison with strollers that come with the usual hard rubber tires. Also, the forever air wheels ensure good lifespan. In other words, filling them is done with foam and they won't get punctured like standard tires. Compared to the other strollers on this list, the Baby Jogger City Mini GT Double has a price that's a bit high. Still, the stroller has a myriad of features that are functional. Couple that with the excellent build quality and we have a good performing device. If you don't mind investing a bit more funds in the purchase of a baby stroller and you also want something that is durable and easy to manoeuvre, then the Baby Jogger City Mini GT Double is the best choice. We fully recommend it to you. It doesn't come with accessories, you have to purchase them separately. The Baby Jogger City Mini GT is another model loved by parents everywhere. Wherein parents love its ability to deal with almost any kind of terrain. Also, its lightness and the fact that it can be folded with one hand makes it a proper jogging stroller. Another feature it has is that it can be folded almost totally flat. This is done by releasing an easy-to-reach strap behind the seat which reclines the jogging stroller to an almost flat level. A mesh window behind the seat aids in ensuring your infant is kept comfortable and secure. During cold periods, the weather cover situated underneath the handle can easily be released to ensure your baby is kept warm. This 3-wheel stroller comes with front wheel suspension and lockable swivel front wheels. It also sports an EVA tire thread. The price of the Baby Jogger City Mini 3W Single Stroller is still reasonable considering it's a host of various benefits. So, we find that it's still enough for individuals on a budget. If you are in search of a durable, lightweight, and stylish stroller which you can easily use to transverse any tight corner while keeping your kid safe, then the Baby Jogger 2016 City Mini 3W Single Stroller is a good performer that you can invest in. 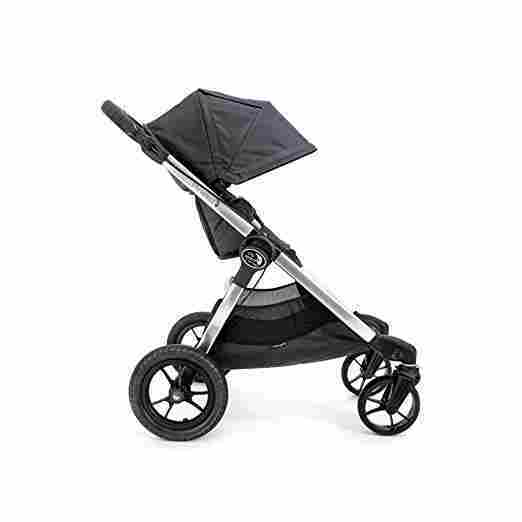 Baby Jogger City Tour stroller, Onyx is a good choice for a lot of parents because of the outstanding features it brings both to the parents and the babies. The stroller comes with a car seat adapter which is great for parents who travel a lot. Additionally, it comes with a massive tray and cups which can respectively hold snacks and beverages. It comes with a comfortable storage basket underneath the seat which can be utilised for holding babies essentials. The stroller comes at an average price considering all the features you get to enjoy. If you don't mind spending a little extra cash, then this is a great choice for you to consider. If you are on the search for a stroller that is sturdy and lightweight—which can also be folded with ease to fit into a backpack, then this is a good choice. Hence, we recommend it to you to give it a buy. It does not seamlessly move on a surface which is not levelled. The City Select Second Seat stroller has the same width as a single stroller and this provides parents with the capacity to move their way through the tightest of spots. This is regardless if you are just running an errand or taking a walk, the nimble nature of this double stroller makes it (stroller) easy to control. The seats can also be adjusted either to be sibling facing, front facing, or parent facing. This ensures the highest level of comfort for both the infant and parents. This stroller cost more than most of the other products on the list. Still, if you have no issues investing in a jogging stroller which would serve you nicely especially if you have twins, then this is worth checking out. The Baby Jogger City Select is a very great option if you have more than one kid who are close to each other in terms of age. The stroller is durable (ensures good lifespan) and has the capacity to maneuver through busy locations with ease. So, we find it a good choice for individuals not on a budget. 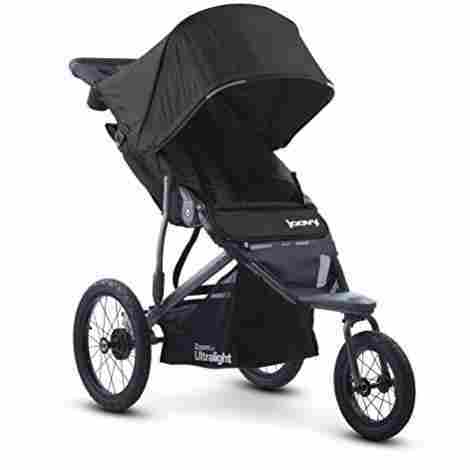 The Joovy Zoom 360 is an ultralight jogging stroller weighing about 25.7 pounds. Designed using an aluminium frame, the stroller remains durable and is sturdy enough to support the weight of the child. Storing the stroller is made easy. The rear wheels on the stroller come with a one-step parking brake which is linked and ensures the stroller stays in place while stopping. Once the stroller is put in a stop position, you can fold it easily, and storage is also stress-free as the wheels on the stroller come off with ease. An auto-lock feature is also available. Moving on, a parent organizer is available which features 2 cup-holders as well as storage for keys and phones. The stroller comes with a pocket which can be zipped to secure valuables. 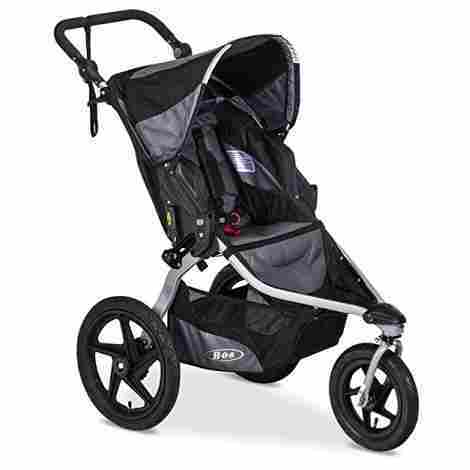 The Joovy Zoom offers a lot of top-notch features which is usually available on high-end strollers. This stroller gives these features at quite a reasonable price. The Zoom 360 Ultralight is a great jogger by Joovy. It has a great canopy alongside a parent console with some of the best cup holders available on similar jogging strollers in its range. It also features a good build quality which is a sure sign of longevity. So, this is definitely worth looking into if it meets your specification. 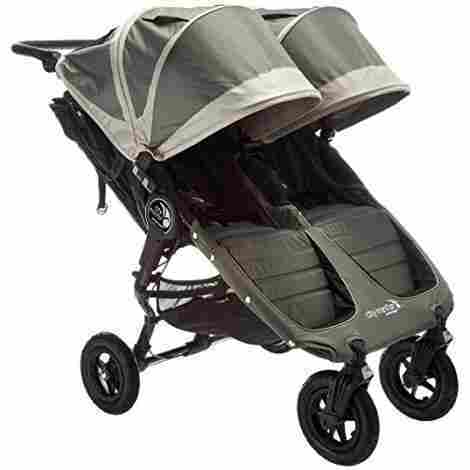 The BOB Revolution FLEX Duallie jogging stroller is suitable for use on all kinds of terrain while walking or jogging. The stroller is designed to hold two kids at a time with each seat designed to support up to 50 pounds. 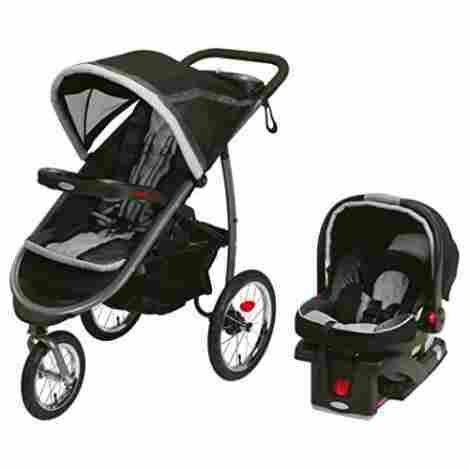 Another feature which provides convenience during use includes the two-step fold which makes storing the stroller easy. The tires of the stroller are also made using polymer which is filled with air. This makes the stroller suitable for use on and off-road. The stroller lastly comes with a foot brake pedal which can be pushed on or off using just the bottom of the foot. This stroller comes at quite a high price, but with the features and quality you enjoy, it is worth every penny spent if you're not on a tight budget. If you are, you can consider the other products on the list. This is a stroller worth every penny spent. It functions perfectly on any kind of terrain and your infant is certain to attain maximum level of comfort riding in this stroller. Also, its build quality ensures good lifespan and it's aesthetically sound as well. 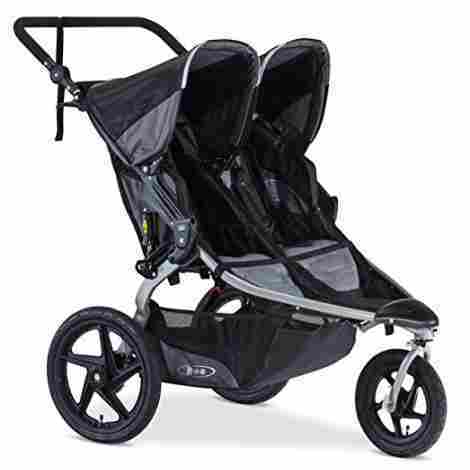 Still, purchasing the BOB Revolution FLEX Duallie Jogging Stroller entails that you can ignore its high price. To locate our picks of the best jogging strollers, we asked thousands of mums and families with babies. Wherein we picked some of the most reoccurring products they shared with us and added our own research. After these processes, we personally tested the products to see if the claims made about them were true. On that front, these are the tests that the products had to pass before they could be present on this list. Regardless of how functional the jogging stroller is, the aesthetic part must satisfy us and hence, the different mothers that’ll be interested in them. We don’t mean that you’ll consider them as eye-candy but they’ll still comfortably satisfy us/you in terms of design. The jogging strollers above are not unreasonably bulky and unsightly nor is/are the colour(s) used unsavory. We do this because of the personal satisfaction on the part of the mothers and their baby. We mean, humans naturally prefer beautiful things and a baby always deserves to look great in any scenario. Also, a slight fashion statement can be made with these strollers since you don’t really need to jog with them (always). You could take a walk around with your baby and that calls for some style. Summarily, these are the main reasons why we ensured that the individual appearances of the strollers above are aesthetically sound. There’s no doubt that this is the most important evaluation that the jogging strollers above passed. Loose or inadequate build quality can lead to injury and other unappealing circumstances. Also, build quality is directly proportional to the lifespan of the strollers. With that point, a stroller with exceptional build quality (the ones above) prevents unappealing situations and ensures a long lifespan. For these products, functionality depends on build quality. If a stroller has cheap build quality, this touches the tires, handles, and the materials used in the stroller themselves. In other words, the handles won’t be able to withstand a lot of force and thus, will be useless in the long run. The tires won’t be able to accommodate the speed and might roll off at any time. So, you won’t even be able to jog which subtracts one of the main uses of a jogging stroller. Materials can be used for the protection of the baby. And if that one is likewise insufficient, it could very well cause discomfort on the part of the baby. Alternatively, we can say if the materials used are cheap, you might as well stay indoors with the baby for due protection. So, we ensured that the products above are highly functional. The prices of the products above are all reasonable and attractive to buyers. This partly because you can never spend too much on your baby. Also, the prices are different and cover a wide scope of buyers since individual budget always differs. In other words, you’ll find a product that’ll be your favorite above. This is partly due to the functionality of the strollers. There’s no one stroller above that doesn’t have features like high functionality, top-notch build quality, aesthetical appeal, convenience, and comfortability on the part of the baby. They’re essentially valuable and will do you well for an extended period of time. Jogging strollers are the go-to products/devices that can be used by you to simultaneously care for your baby and jog at the same time. Essentially, you needn’t have to sacrifice your physical health to take care of your baby (though it is necessary if you don’t have a jogging stroller). Both can be done with no interference to the other. Which is the best jogging stroller? Typically, we’ll say the first one is the best money can buy. But as individual opinion varies, there’s no person best. You have to check through a hoard of jogging strollers and then pick one you prefer. 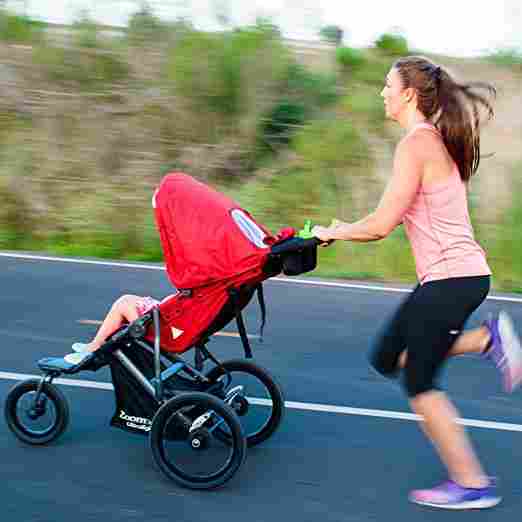 With respect to that point, we’ve compiled a list of the best jogging strollers for you to pick your personal best from. Where can I buy jogging strollers? You can buy jogging strollers at your local baby items store if you don’t want to purchase it online. That said, you can buy a jogging stroller on an e-commerce website like Amazon since they offer the best prices and each product has numerous reviews for you to go through. This helps in getting a correct evaluation of whichever product you choose to buy.